Among the upcoming games of 2019, Anthem is one intriguing entry from Bioware – the same folks who made legendary Dragon Age and Mass Effect series. Anthem is going to be released soon on February 22, and there have already been quite lots of gameplay footages. So with no further ado, let’s check out what we know about Anthem so far! 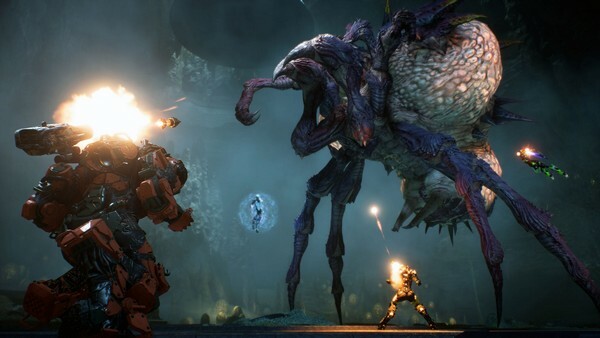 Anthem is a brand new IP developed by Bioware, yet unlike any previous Bioware’s games, Anthem will more likely be a quasi-MMO loot-based shooter RPG (like Destiny). The game will be played from third-person shooter, allowing players to have a good look to their surroundings and also their own character. As Bioware fans can already notice, this new title is a loot-based game, which means there will be lots of focus on loot-farming, getting sick gears, and endgame builds. Frankly speaking, this can be deal-breaker for many fans who expect some good single-player, story-driven RPG experience from Bioware. 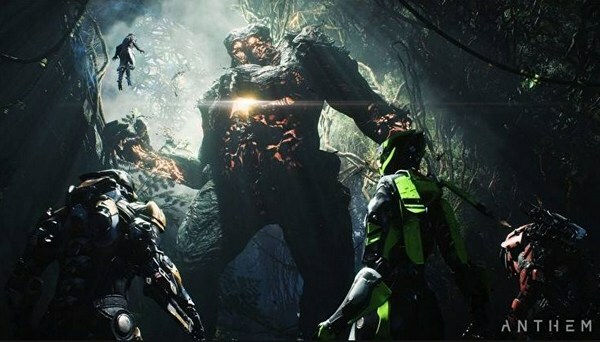 That aside, Anthem does seem to have potential to become a great game, yet until the game is released for real, let’s not get ahead of ourselves and see. 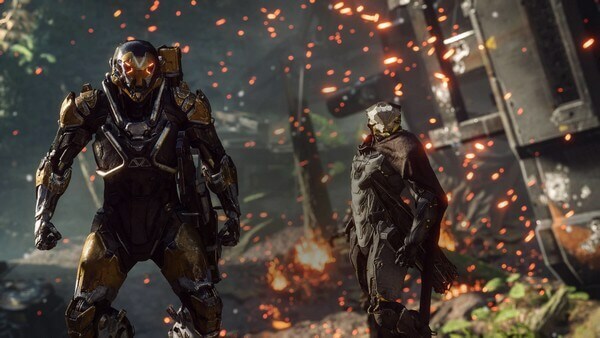 So far Bioware confirmed that Anthem will feature a massive open-world where players can explore around. This is definitely great news since players can fly freely around with their “Javelin” suit. In this massive open-world, players can find loots, secret locations, enemies to fight, and even world events or bosses. They also noted that players can wander into high-level areas early on. Of course it is suicidal if we just rush into areas with much higher-level monsters than us. But it is still interesting when players can freely travel wherever they wish without restriction. Aside from the open-world, there will be a central hub called Fort Tarsis. 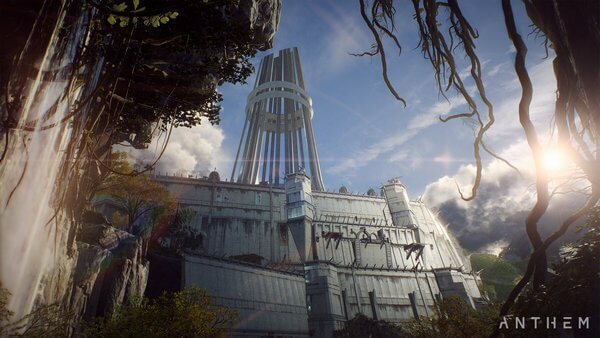 Yet unlike Destiny’s The Tower, Anthem’s Fort Tarsis is like a solo-instance for each individual player, which means players will not meet each other in this area. In Fort Tarsis, players can take quests, missions, buys and sells stuffs, upgrades and customizes their Javelin suits. This will also be where players enjoy the story, which we will mention soon enough. This is one shining point of Anthem. 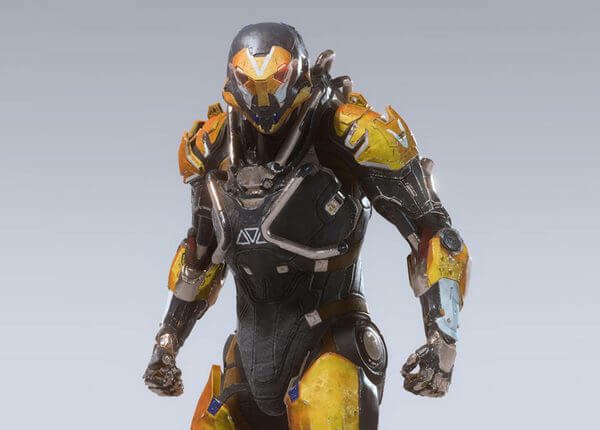 As we already know, players will control exo-suits called Javelin. Each Javelin provides different perks and powers, and, all the Javelins can fly around at ease, even during combat. 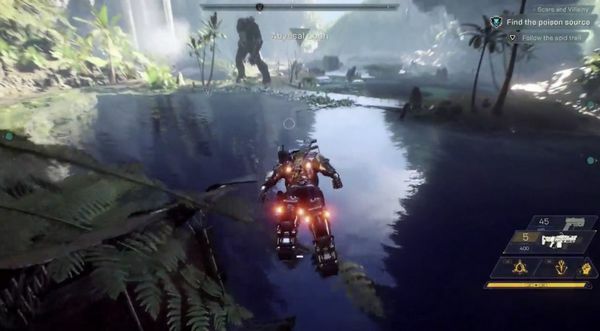 According to people who have experienced the alpha, the flying mechanic in Anthem works really smooth and the control is really easy to get used to. That said, it does not mean that players can just stay in the sky and rain bullets upon enemies. If flying for too long, the engine will become overheat and the Javelin will fall down. Therefore in order to fly in long distance, players will have to fly near the water (like pool and river) for cooling, thus extend their flying duration. 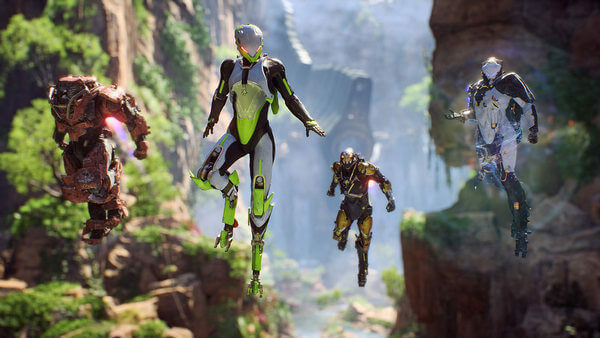 Overall this flying mechanic in Anthem is a really cool idea, and it will actually change lots of things in terms of FPS gameplay. Story-telling is arguably the strongest point of Bioware. And so it is understandable when people feel skeptical when Bioware goes for this loot-based game direction. Furthermore, some people show concerns when Bioware said that Anthem will follow live-service model, which is rather notorious model nowadays given Electronic Arts (EA)’s bad reputation. In return, Bioware have ensured that Anthem will still have compelling story-telling, yet it will be done differently than their previous IPs. They call it the “my story – our world” system in which players will enjoy the story, interact with characters at the main hub Fort Tarsis, while playing with friends and other people during missions or exploring the open-world. This partly explains why they set up the hub to be a solo-instance only so that players can experience the story to the fullest. For now, the biggest question in terms of story is the “live-service” element. To this point, we are probably too familiar with the underhanded tactic made by many corporations: cutting the game content into smaller parts and sell it in forms of DLCs. This results in the problem in which these game companies release unfinished products and then added the cut content in later as a form of “free updates”. In case of Anthem, Bioware is an incredible company and we can totally believe in their capability. Yet their owner – EA – is the biggest issue here. So let’s hope that Bioware can deliver this game in full package with fully written storyline. Can it be played solo? This is a popular question given to Anthem ever since its first reveal. So to simply put: no, this game is supposedly to be played online co-op. We can expect certain missions, especially during early game, can be played solo. But given the nature of this loot-based quasi-MMO, endgame will definitely play a vital role where players can get most badass loots and gears. It also means that the endgame will feature many difficult dungeons and areas which require co-op. And before someone may say that this game looks to easy judging by the recent gameplay footages, let’s remind us all that Anthem will have 6 difficulty levels in total from Easy < Normal < Hard < Grandmaster 1 < Grandmaster 2 < Grandmaster 3. And so, most gameplay we have seen so far are more likely to be Easy or Normal mode. 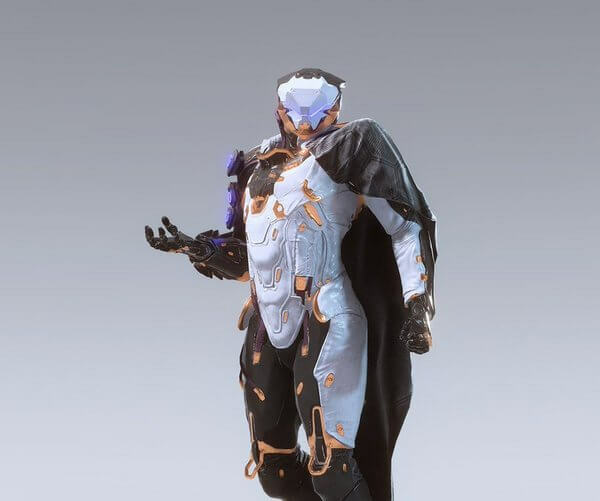 Instead of featuring a standard “classes” system like in many RPGs, Anthem features a more flexible system called “Javelin”. Basically, it is exo-suit which player’s character can wear, fly around, and fight with it. All 4 Javelins have their own melee attacks, 2 Gear slots for offensive abilities, and 1 Support slot for support abilities. The Ranger is the most well-rounded Javelin which seems to be a “jack-of-all-trade” kind of character. It is also the very first Javelin players gain access to and also, the best Javelin for beginners. That being said, the Ranger will still have its places in the endgame, according to Bioware. The Ranger can access to all weapons, except for heavy weapons which are exclusive for Colossus. And despite its jack-of-all-trade nature, it still has a fair share of unique abilities. It has Shock Mace, which is a huge electric mace for melee combat. Frag Grenade: Deals considerable damage in a large area of effect (AOE). Inferno Grenade: Ignites an area, dealing damage and setting enemies ablaze. Frost Grenade: Damages and freezes enemies in place. Seeker Grenades: Splits into smaller sub-munitions which seek out the nearest targets. Sticky Bomb: Attaches to a single target for a contained, high-damage blast. Homing Missile: Fires a projectile that seeks out a target for a small AOE explosion. Energy Pulse: Unleashes a blast of pure energy, hitting a single target with incredible force. Spark Beam: Fires a sustained beam of energy dealing continuous damage. Venom Darts: Launches a volley of darts that seek out a target dealing acid damage. Blast Missile: Fires a missile that explodes for AOE damage. Bulwark Point: Deploys a spherical field which deflects enemy projectiles. Muster Point: Creates a field which increases weapon damage for teammates within its radius. And finally, it has an ultimate ability Multi-target Missile Battery which launches numerous target-seeking missiles to multiple enemies. The Colossus is the “big-daddy” of the crew, featuring beefy body, heavy weapons, and massive explosives. 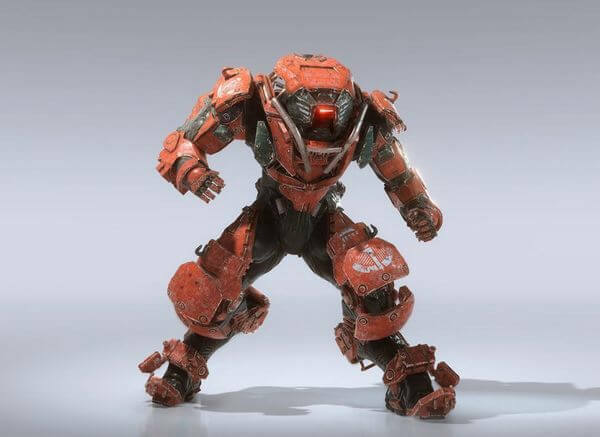 The Colossus has the best defense and also, it is only Javelin which equips with a big shield to block enemy projectiles. And as mentioned, Colossus can equip heavy weapons; however, it cannot use any pistol or submachine gun. Instead of using a melee weapon, Colossus uses its own fist to perform melee ability called Heavy Smash which slams the ground, causing a wide AOE shockwave and seemingly stagger the affected enemies. High Explosive Mortar: Launches an explosive projectile that deals heavy AOE damage. Burst Mortar: Fires a volley of smaller mortars that spread out to pummel a wider area of effect. Firewall Mortar: Fires a specialized mortar round that ignites a wall of flame, heavily damaging enemies that try to move through it. Lightning Coil: Strikes a single random target with an arc of electricity in front of the Colossus, prioritizing targets with status effects. Shock Coil: Emits waves of electricity out from the Colossus, damaging all nearby enemies. Heavy Cannon: Fires a large rocket in a targeted direction. Flame Thrower: Unleashes a continuous stream of fire to ignite enemies. Flak Cannon: Barrages nearby enemies with a short-range arc of projectiles. Railgun: Devastates a single-target with a forceful and precise kinetic round. Acid Spitter: Expels an acid projectile to damage enemies. Taunt: Forces all enemies within a certain radius to divert their attacks to the Colossus. Deflector Pulse: Gives all nearby allies a damage-resistance buff. Finally, its ultimate ability is Siege Cannon which pulls out the massive cannon behind its back and it deals insane damage within a huge AOE. The Interceptor is like a “rogue class” in many RPGs, featuring fast movement and rapid attack speed. And just like a “rogue class”, the Interceptor relies a lot on moving around and dealing quick damage to enemies, and at the same time, it is really squishy and can easily be killed if not careful. It has Double-Bladed Daggers for melee attacks and unlike other Javelins; the Interceptor seems to heavily rely on this melee ability to deal some serious damage. That being said, it does not mean that melee is the only thing Interceptor can focus on. Seeker Glaive: Throws out a razor-sharp projectile that seeks out the nearest target. Acid Bomb: Tosses a grenade which explodes, splashing all nearby enemies with acid. Cryo Glaive: Launches out a projectile that locks on to a nearby target and freezes it on impact. Cluster Mine: Throws out a group of mines onto a targeted area which explode on contact with an enemy. Spark Dash: Dashes forward, leaving behind a trail of electricity that damages enemies. Star Strike: Charges an enemy with energy which explodes after a delay. The explosion deals increased damage if the target is destroyed before the full delay. Plasma Star: Tosses a plasma-empowered shuriken at a single target, effective at long range. Nova Strike: Sends out a projection of the Interceptor which will attack enemies it comes in contact with. Tempest Strike: A devastating single-target attack that can stun smaller enemies. Corrosive Spray: Sprays out a jet of corrosive acid that damages all enemies hit. Target Beacon: Marks a target for increased damage which will switch to another enemy if the marked target is destroyed. Rally Cry: Removes status effects from all nearby allies. And finally, its ultimate ability is Assassin’s Blades which basically enhances its melee daggers even further and deals massive damage up-close. The Storm is like a “mage class” in RPGs which features a number of magical-like abilities, and similar to the Interceptor, this is a Javelin capable to dishing out massive damage yet at the same time, it is rather squishy. In addition, the Storm has one handy perk which is the ability to hover in the sky as long as his shield remains intact. This allows the Storm to rain bullets and abilities upon enemies from above and also, scout the area better than other Javelins. In terms of weapon, Storm can also use everything except for heavy weapons. It also has melee ability called Fiery Strike which basically launches a flaming fist and knocks enemy away, making it a suitable skill to keep enemy at bay. Lightning Strike: A targeted strike that deals lightning damage in an area. Ice Storm: Creates a field of ice that deals damage, rapidly building to a final explosion of frost. Flame Burst: A quick explosion that deals fire damage at a target location. Rime Blast: Fires out a flurry of ice projectiles that deal damage and freeze close-range targets. Living Flame: A burst of flame energy that seeks out and ignites targets. Hoarfrost Shards: Rapid-fire shards of ice that slowly freeze a target in place. Fireball: A versatile fire ability that can be fired quickly in small shots or charged for a larger projectile that explodes. Ball Lightning: A discharge of electric energy that can be bounced off of walls to reach targets behind cover. Glacial Beam: Fires a beam of powerful ice energy in a targeted direction. Arc Burst: Unleashes a blast of lightning that will leap to nearby targets for heavy damage. Wind Wall: Generates a defensive wall of wind that deflects incoming enemy projectiles. Nexus: Creates a field which provides gear cooldown reduction to teammates who enter its radius. Finally Storm’s ultimate ability is Elemental Storm which summon elemental blasts from frost to electricity to fire, then create a meteor fall which deals massive damage. There will be lots of loots! Again, Anthem is a loot-based game and therefore, Bioware put quite lots of effort on looting mechanic. Loots can be found by killing enemies, treasure chests, completing quests, doing challenges, etc… Aside from that, players can also gather materials throughout the world like metal for crafting and character customization. Of course, being a loot-based game also means that there will be item rarity. Bioware confirmed there are 5 item tiers including Common, Uncommon, Rare, Epic and Masterwork. And just like many MMORPGs nowadays, there are also Gear Level which determines the power of that Gear. Similar to games like Diablo 3, each player will have their own loot and that means people don’t have to worry about someone stealing their sweet loots. Unfortunately though, players will not be able to trade items, at least when the game first launches. 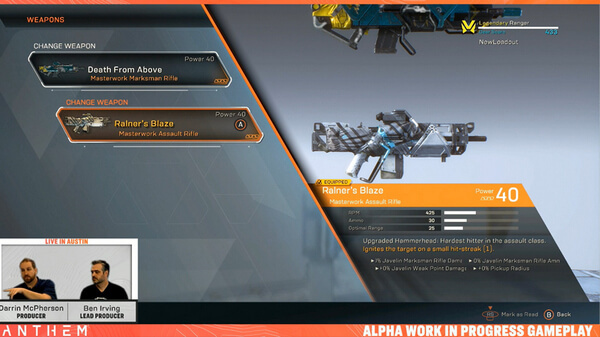 According to Bioware’s Anthem livestream, it seems that players will have an extensive customization system in which players can change how their Javelins look and of course the gears. 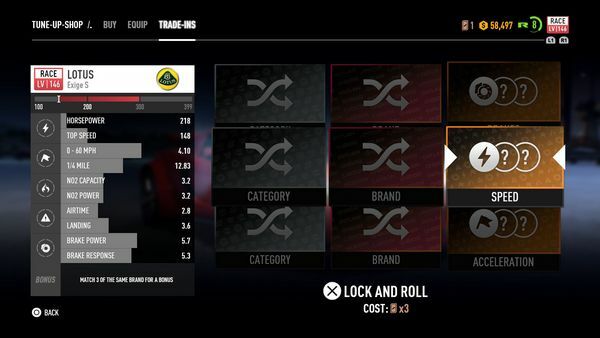 In terms of cosmetic customization alone, there are already an insane amount of options. 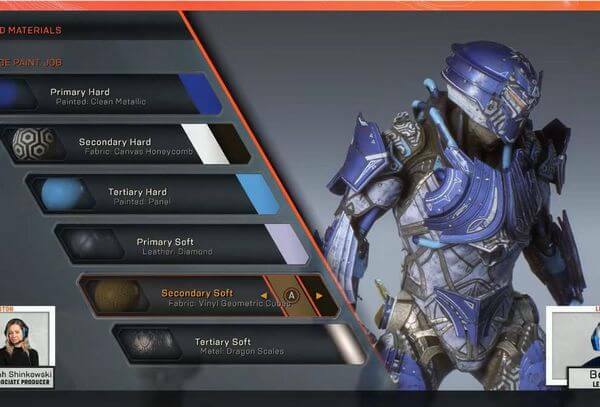 Players can freely choose the gear piece they want to use ranging from helmet, arms, chest, to legs (these armor pieces are cosmetic only by the way). Then going to the Paint option and there are even 6 sections where we can choose the material look and the color for each Javelin’s part. It is really cool when we look at it and let’s just hope that they do not lock the best looking stuffs behind microtransaction. In terms of gears loadout, players can customize their Gears including 2 Weapons, 2 Gears (for Gear Abilities), 1 Support Gear (for support Support Ability), and 6 Component slots which provides passive benefits to tailor players’ playstyle. Each piece of equipment also has “Inscription” which is passive benefit like increasing Resistance or weapon damage. It is also confirmed that players can get recipes and craft items which have level equal to players’ current level when they create the item. Players also will not be able to “re-roll” the item, which means: If you are not content with what you created, you have to create another one until you get the gear you want. Strongholds: which are challenging dungeons requiring multiple activities and sections to complete, and final epic bosses. Since these are only spoken words, we honestly do not know how the endgame looks like exactly yet and we doubt if Bioware actually wants to show it. 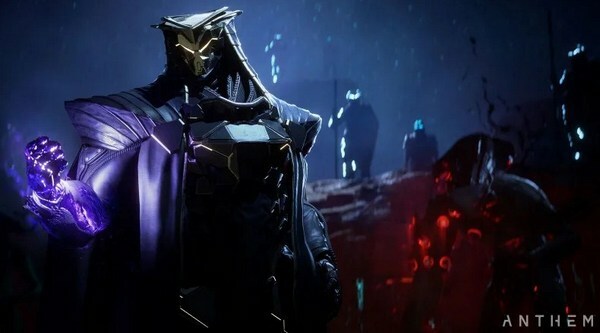 Yeah… sadly there will be no PvP mode since Bioware designs Anthem as a loot-based game. However, it may appear in the future after the game’s launch. 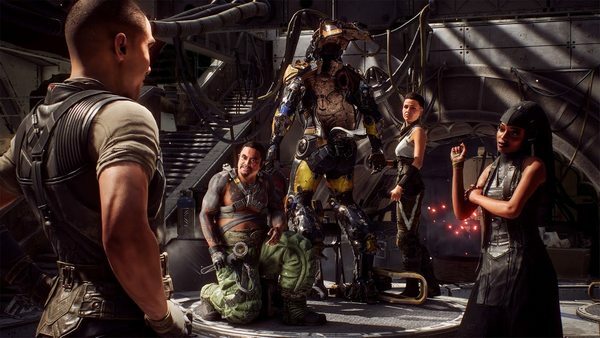 So now we come to the most mind-bugging question for Anthem: Will it feature microtransaction? And the short answer is: yes, it will include microtransaction but Bioware reassures that it will include cosmetic stuffs only. Again, given EA’s bad reputation, definitely Anthem will feature microtransaction in some form. At the very least, let’s hope that it will include cosmetic items only just like what Bioware said. 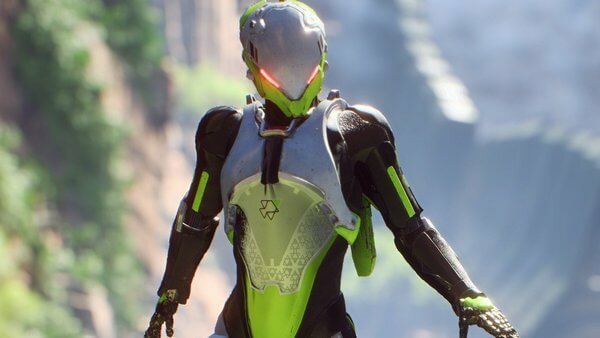 Another good news is that Anthem will not have any sort of “Season Pass”. Still as a live-service game, it will get new contents via free updates after launch. In addition, there will be expansions which feature massive content updates. And that’s it folks! 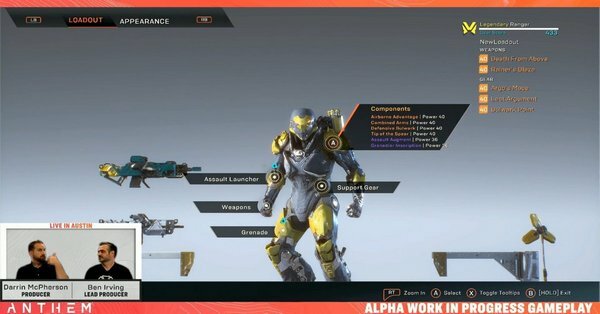 Those are what we know about Anthem so far! From our perspective, Anthem absolutely has all the potentials to become an excellent game. The only problem is: how deeply EA will “disturb” with this game? In fact, we have seen many people who feel extremely skeptical with this game due to EA alone. But what do you think? Feel free to share with us and for now, thank you and stay tune for more news in the future! The “Sweet Little Lie” of Fallout 76: What Went Wrong? Diablo Immortal Controversy: A Real “Diablo Apocalypse”? Let’s Hear the Dragon Roar: Top 20 Best Dragons in Games! Assassin’s Creed Odyssey Review: An Assassin’s Creed Origins 2.0? More New Things We Know About Resident Evil 2 Remake! Fortnite Battle Royale Tips for Beginners: You Are Now Prepared! Call of Duty Black Ops 4 Review: A Peculiar “Pandora Box”?